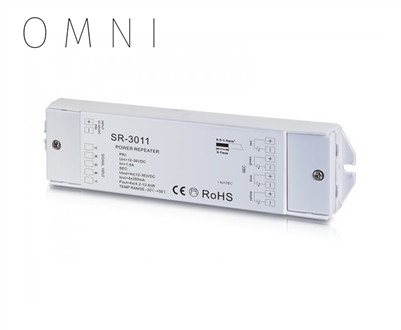 O M N I RF and Wifi Receiver are limited to 4-5A/Channel. For extended runs use a power repeated to control all lights to the same color. 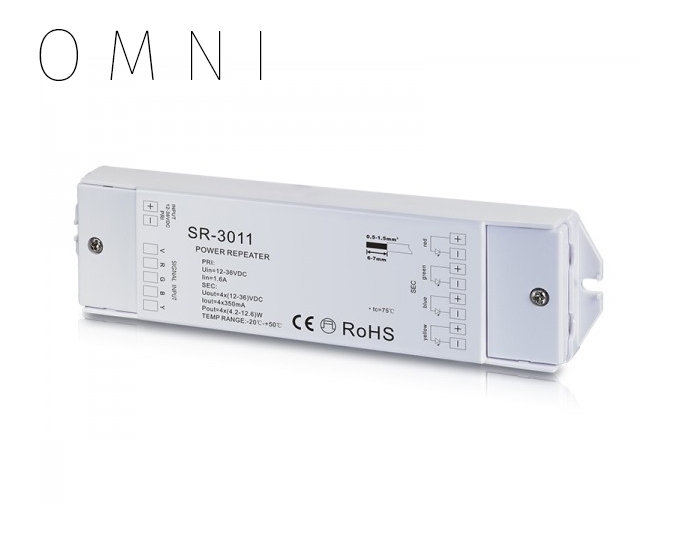 This power repeater can add an extra 8 A per Channel.